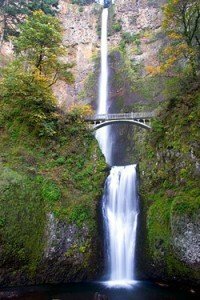 There are a great number of places to visit in Oregon, which is also called “Beaver State” is one of the largest of the Pacific US states located in the north-west of the country and bordered by the states of Washington, Idaho on the north and east, Nevada and California on the south. The capital of the state – Salem, was formerly an Indian settlement and the largest city – Portland is known for the title of the greenest city in America, and its stellar inhabitants: master of postmodern satire Chuck Palahniuk, the legend of the fantasy genre Ursula Le Guin and “father” of the animated series “The Simpsons” Matt Groening. In addition, Oregon – a successful rival of California’s Napa Valley in the sophistication and diversity of wine. You can get unforgettable impressions from a wine tour of the Willamette Valley. Over 80 years, the tourism industry has been developing in the state, so the level of service and a variety of entertainment amenities of the state will be able to satisfy even the most demanding taste. Portland in Oregon aims to be the greenest city in the United States. 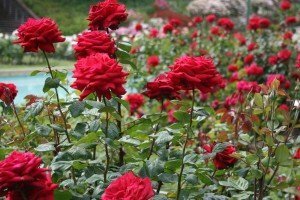 The local climate is very comfortable for the plants and each year you can go there in June when Rose Festival is held there to enjoy this beauty. Portland ranks first in the country in the number of parks and gardens. 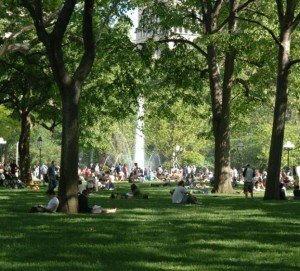 Local urban program even provides ratio of green space per capita, constantly breaking new green spaces and green areas. And it is not just a boring classic park as it looks like a true work of art! 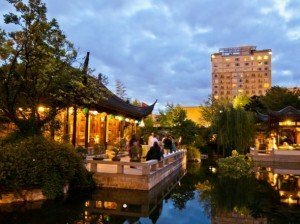 Portland is a classical Chinese garden, created by craftsmen from Suzhou who settled in the tea arbor, which is now a monument of architecture. 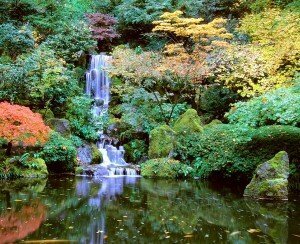 A huge Japanese garden was laid out in 1963 in Portland. All over the world it is recognized as the best traditional garden, created not in Japan. Professor Takuma Tono designed the basic concept of the park, and for many years on their own funds and donations brought into it more and more new elements. Interesting: On 2.5 hectares, there are five different style zones, each one differs not only by the architectural elements but also by plants. Zoo appeared here in 1888 and first there was a single animal. It was a grizzly bear, sheltered by the owners of the pharmacy. Subsequently, it has grown so much that took a good half of the park. On the territory of the submission there are several natural regions with their typical animals – savannah, rainforest, Serengeti, Asia and local north-western region. Here there are 2200 species of animals and 260 species of birds, among which 21 are on the verge of extinction. All animals live almost in the wild nature. 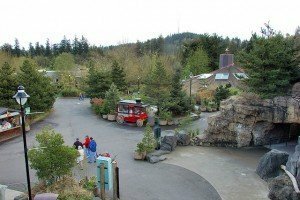 Aviary and area is planted with native plants for particular species, where they feel much more comfortable. All birds do not live in cages but in a huge botanical garden, also divided into natural areas. Interesting: Here, among the orchids bright tropical birds and pelicans can be found. every year in June, the town hosts a festival of roses, where the local varieties are included. If you do not have an opportunity to visit this colorful festival, take the time to visit the world-famous rose garden where all Portland roses are grown. There is an experimental breeding and breeding of new varieties of roses that bloom from May to October. Here more than seven thousand rose bushes of 550 varieties are gathered in one place. Interesting: During the festival of a variety of colors the Rose Queen is selected, which then participates in the carnival and parade of Lights. 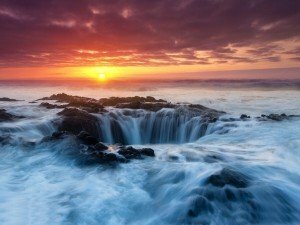 The Well of Torah is an amazing natural attraction, which is located on the Pacific coast at Cape Perpetua, Oregon. Riverside Cape is of volcanic origin and is a jumble of boulders, among which there is the well – a huge basin, a natural funnel formed among the sharp stone cliffs. Well the Torah is also called the Gates of hell. Only during low tide, for a short period of time, you can go almost to the edge of the well, but after a moment the water starts arriving and the Well of Torah is transformed. waves fall down forming a waterfall of fantastic beauty. Well is never overfilled, obviously its depth is connected with the ocean. This fact is linked another remarkable property of the well. During the arrival of a particularly powerful large wave of water the column is pulled out from the abyss of the well, forming a bundle of salt spray and inspiring primal terror. Interesting: It is better to go to this place at sunset as exactly this time the most spectacular looks of the Well of Torah can be enjoyed. 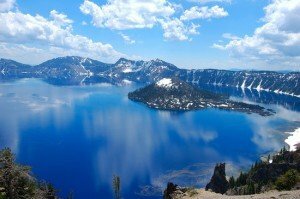 The national park of the Crater Lake in Oregon there is one of the highest-volcanic mountains called Mazama. The place is famous for its Crater Lake with clean and clear blue water. Several thousand years ago, after the strongest eruption, Mazama was partially destroyed and formed a caldera on the site of the crater. Over time, the basin filled with water and formed a beautiful lake, which is known as Crater nowadays. 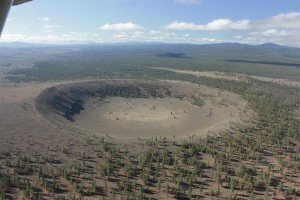 Crater is the deepest volcanic lake in the United States, its average depth is 350 meters, with the deepest point at a distance of approximately 600 meters below the water surface. The Lake gets water only at the expense of deposits. Why is this place so popular with tourists? A lot of visitors are attracted to the beautiful lake not only because of its amazing poisonous blue water with beautiful views of the surrounding area. They come here because of the old legend about the “lake old man,” bringing happiness to everyone who saw him. Interesting: As a result, “the old man” turned out to be a usual log that floats in a very unusual way – vertically. 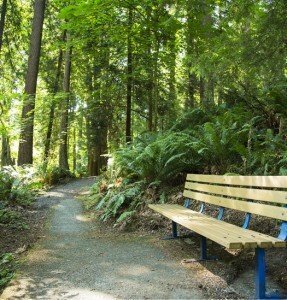 Forest Park is the city park of Portland, which is one of the largest parks in the country as it has an area of ​​over 2060 hectares, surrounded by a vast biological diversity it is a location of the recreational routes with a total length of over 100 kilometers. It was founded in 1860 and formally opened in 1948. The size of the park occupies the 19th place in the United States. Its territory is home to over 112 species of birds, 62 species of mammals, as well as many different species of plants. Among representatives of fauna there are deer, bobcats, marmots, squirrels, mice and salamanders. No less impressive the variety of birds – different kinds of woodpeckers, owls and swans, bats, thrushes and others. Due to the large amount of rainfall, vegetation is particularly rich area of ​​the park. Interesting: Maple, poplar, fern, alder, thistle, ivy, blackberry and a huge variety of conifers are growing here. This is the second highest waterfall in the United States. Tourists can enjoy looking at its two stages from the bridge over the precipice. From this point you can see the top of it, with a large drop of water flows. It is best to visit the falls in spring and summer, when the temperature is warm and the water spray doesn’t allow freezing. From early autumn waterfall is surrounded in fog and you can only hear its roar. Here you can admire the waterfall without being afraid to get wet much at the height of fourteen meters. If you throw your head far back, you will be able to see the top of the waterfall. Although at first it seems that the water breaks down straight from heaven. Interesting: If you follow on the trail, you can climb to the top of the cliff, where you can admire the canyon of Columbia and a small cascade of the waterfall. Hole-in-Ground is so called one of the most famous maars all over the world. The term denotes maar crater or hole that remains in the ground after the aerial part of the ridge is destroyed by a powerful earthquake. Maar Hole-in-Ground is exactly as the one described. its size (Maar diameter of about 1600 meters, and the maximum depth is equal to 150 meters). 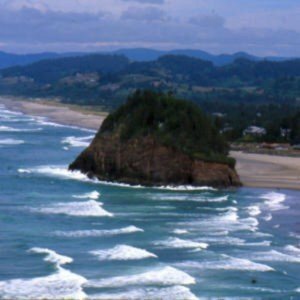 Not surprisingly, the biggest maar is located in Oregon, because the state has long been known as the Dean of the very “violent” in terms of seismic activity. Hole-in-Ground has a rounded shape and looks like a completely scorched countryside. At the foot of the mountains in ancient times the big lake extended. During the eruption magma came so close to the surface of the earth, the water in the lake was literally boiled and turned into steam. Crater proved reared packed soil, magma continued to accumulate at high pressure and the volcano exploded. Pieces of the mountain were literally scattered throughout the county. Interesting: Scientists studying maar have managed to find out that it was formed about 13,500 – 18,000 years ago! 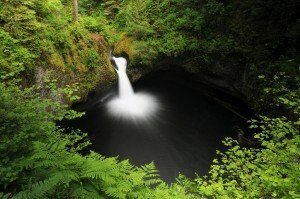 Traveling through the Columbia River Gorge one can find dozens of diverse and dissimilar waterfalls but Punch Bowl has become the favorite traveling destination for tourists and local people. It took several thousand years for the water flow to shape the stone bowl, which gradually turned into a convenient pool. On summer weekends, many locals come here to relax as well as the tourists who travel on the river and make a stop here. The waterfall is located in a charming place, where on one side there are the steep cliffs, and on the other one you can see an old forest. Interesting: You can climb to the top of the waterfall through it using a rather difficult path. The rich underwater world attracts to these places those active tourists who like diving and snorkeling (diving with mask and snorkel). Although this beach is often crowded but it remains clean and convenient. Here you can see the extraordinary beauty of the sunsets in the evening. Near the beach there is a huge coastal Cape Haystack Rock, which is located in the depths of the cave. Interesting: If you climb to the top of the cape, you can see the beautiful panorama – the beach and the vast ocean. Neskowin Beach is located in the northwest Oregon in the small town Neskowin. This beach is also called “stone forest”. A large amount of debris from the rocks makes this beach different from other US beaches. Earlier this place was the dense relic forest with large rocks. 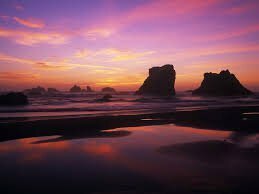 But the mighty Pacific Ocean, which is located in close proximity, has changed this place during some period of time so much that it is really difficult to recognize it. Only distant echoes of ancient fauna have been left here. The sunsets and a huge mountain, located close to the beach, make this place is very beautiful and mysterious. You won’t forget nice moments devoted to watching sunsets. Interesting: A few meters from the beach you can find small private hotels and villas. The main advantage of these houses is an opportunity to enjoy an incredible view of the vast ocean. Washington Park is Portland City Park, which was founded in 1871. It occupies an area of ​​over 65 hectares and represents a huge complex that includes a variety of social and recreational activities. the Hoyt Arboretum with more than 8000 plants. Interesting: Among other features of the park it is necessary to mention many statues, monuments, fountains, as well as various sports fields, playgrounds and picnic areas. Chinese Garden “Lan Su” is Chinese walled garden, enclosing a quarter in Portland, Oregon. The garden appeared in 2000. Nowadays it occupies 4000 square meters of land. The garden was designed by Kuang Zhen Yan. “Lan Su” is a really expensive garden as it cost the city about 12.8 million dollars! 500 tons of rock mass, including Chinese stone brought from Lake Taihu in China, were used in the construction of the garden. Most of the plants that grow here are native to China. Some plants are really old- more than 100 years old. Interesting: The most beautiful attraction of the Garden “Lan Su” is an artificial lake Ziter located in the center of the garden. 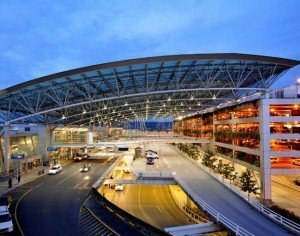 Portland International Airport is located 4 miles northeast of Portland – a city in Oregon. It started its work in March 1940. The height of the airport is 9 meters above the sea level and the length of the three runways – 2,134, 2,438 and 3,353 meters. According to statistics provided in 2012, there were 591 flights of aircraft per day. stores “Columbia Sportswear “,” Nike ” and many other shops and establishments. Interesting: Here you have a chance to enjoy free Wi-Fi, ATMs, currency exchange, car rental and other services. 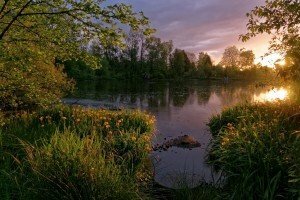 Two poplar ponds are surrounded by forest, which has been improved over the last 15 years by planting a great number of local plants. The gentle slope leads towards the viewing dock of the western pond, where visitors can watch the fish, frogs and aquatic beetles. Another dock is located on the north side of the park. It offers excellent access for canoes and kayaks. That’s why this place is the perfect traveling destination to those tourists who love extreme water kinds of sports. Interesting: On the premises you can find are also a platform for baseball, hiking trails and other amenities. As you can see, you won’t be bored here!